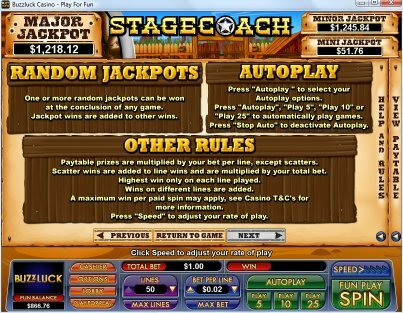 Overview: Want an adventure? 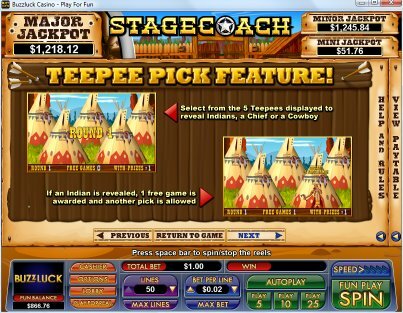 Let us take you on a Cowboys and Indian ride through the superb graphics of Stagecoach, in this new 50-line slot from Nuworks Gaming. 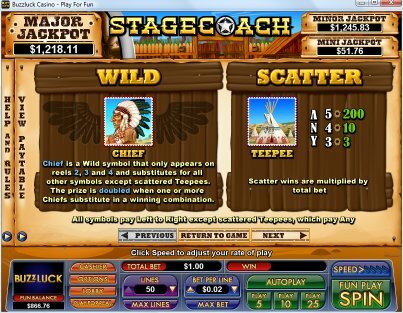 The Chief is Wild and doubles the prize and a scattered Teepee symbol on Reels 1 and 5 will trigger the pick feature. Search through a field of Teepees and find Cowboys, Indians and Chiefs who will generously award players with free games, bonus rounds and prize multipliers. 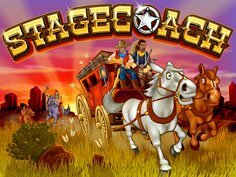 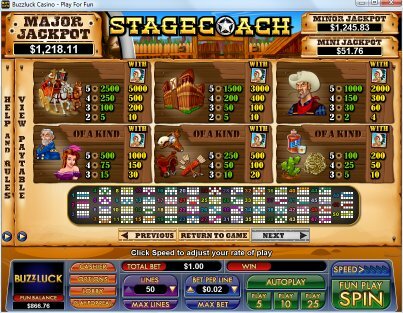 Also featuring multiple random jackpots waiting to be won, Stagecoach will lead you on a frenzied adventure filled with fun. 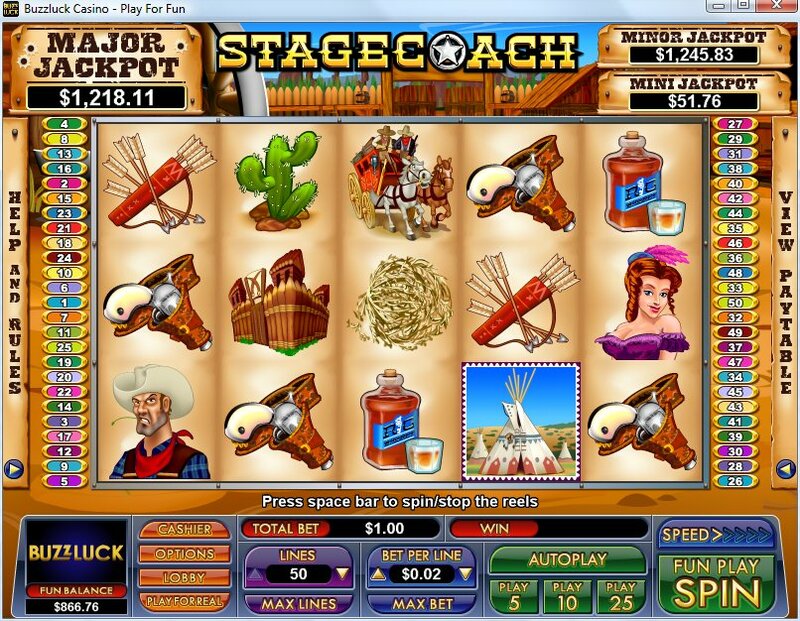 Similar Slots: If you like Stagecoach, you might like these other slot machines from NuWorks: Alaskan Sun, Cool Pool, Red Raiding Hood, The Champ, The Heat is On!, Win Big!.